Good afternoon, Agents and Investigators! My name is Mustafa Said and welcome back to This Week in Niantic History! One year ago today another page from the work of Tycho C. emerged. It continued the adventure taken by Devra Bogdanovich and Roland Jarvis when they fled the Niantic Project facility during Epiphany Night. 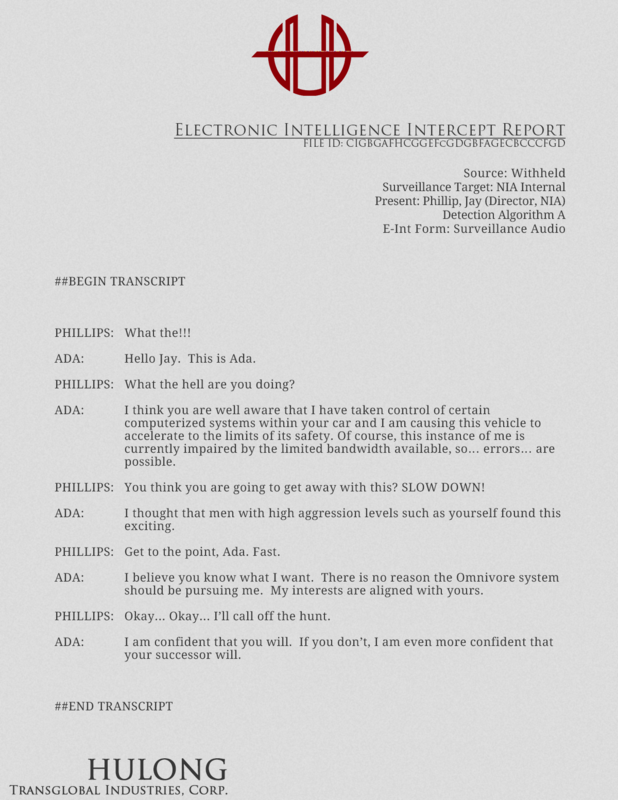 It was a conversation between ADA and J. Phillips. Seems that ADA is trying to stop Omnivore from hunting her down and she’s willing to do whatever it takes to survive. How it ties into the story: ADA is on the defensive against Omnivore although no one is sure why. It was a series of conversations between Yuen Ni, first to Oliver Lynton-Wolfe and then to Zeke Calvin. Ni congratulates Wolfe on joining Hulong Transglobal but then learns from Calvin that Wolfe is ‘severely damaged’ and that there are forces with possible intent to hurt him. How it ties into the story: Wolfe begins his work at Hulong and is shortly going to be supplied Dark XM. What he does with it…well, you’ll see. It was a conversation between H. Richard Loeb and ADA. In it, ADA notes how she is ‘almost human’ and she reveals that Klue has gone off the grid after viewing the Glyph Sequence. 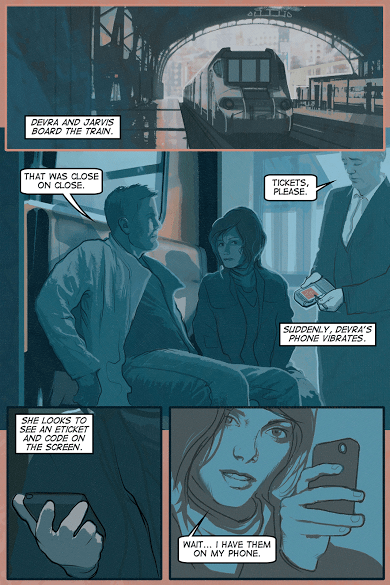 How it ties into the story: Klue is missing at the time and no one, not even ADA knows where she is. In the episode, Susanna Moyer covers a wide range of Ingress Operations throughout the week, the death of Carrie Campbell and Lynton-Wolfe’s move to Hulong and a new Scanner update.